It is beyond belief that those red, green and bright pink cars, at the respectable age of at least 60, are able to start at all. Their dubious roadworthiness makes you wonder if you may find openings on the floor, to ride the car Flintstone style – with your feet on the pavement. However, the technical genius of Cuban people never fails to come up with new solutions. This is, perhaps, the only country in the world, where you can easily spot old Russian cars with LED lights. And if you happen to be out on the road when it’s raining you’ll find countless convertibles equipped with DIY plastic roofs. 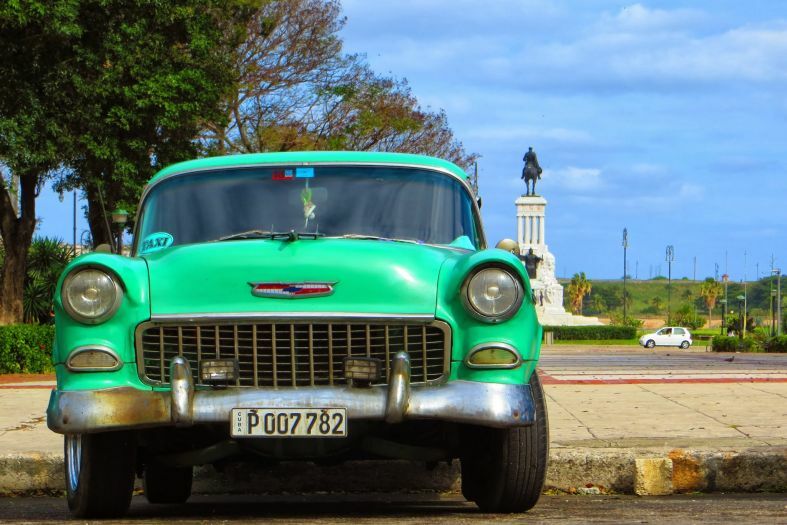 The roads of Cuban cities are dominated by all sorts of exotic auto pieces from the 1950s – Moskvitch, Zhiguli, Pontiac, Chevrolet are some of the brands you’ll find. More interestingly, there are also plenty of cars whose brands are unrecognizable, since they are a homemade hodgepodge of parts from all kinds of vehicles. The owners are used to fixing up their automobiles either by themselves, or with the help of a friend. Cars that would otherwise go directly to the scrap factory, had they not been in Cuba, are painted, glued together and used. Once the main goal has been achieved (the car is able to move), all sorts of improvements are added to it – LED lights, unbelievably loud speakers. The most extravagant of drivers even go as far as including wing mirrors. The very first taxi we hailed in Havana turned out to be a real phoenix. The driver showed us photos of the car’s condition, at the time he purchased it – half of an unidentifiable undercarriage, rusty in color, likely an arson victim. In eight mere months, the owner had methodically gathered all the necessary parts, rebuilt the rest of the undercarriage, found an engine and even went on to add a radio. Sure, once inside, you feel like you are taking a ride in a tin, rather than an actual car, but this is what Cuban glamour is all about. To add to the exotic atmosphere – no two seats had the same shape and upholstery. No taxi driver in Havana is just a simple driver. 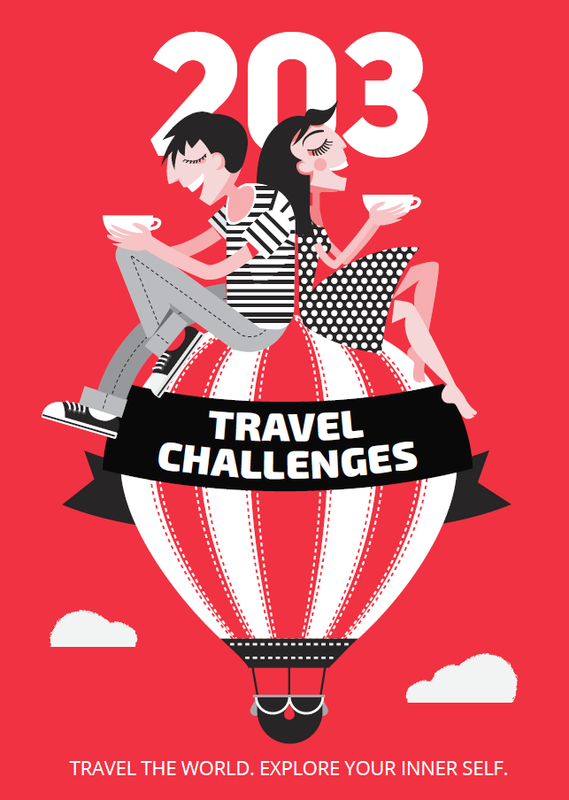 They are also polyglots, guides and tourist bureaus. Your driver will offer to take you on a tour of the Cuban capital, show you the most significant buildings and tell you stories you won t hear anywhere else. He will share his opinion of the government, the tourists, cubaton (the Cuban version of reggaeton, which people either love or hate). He won’t refuse to answer a single one of your questions and if this is your first trip to Cuba, you will certainly have plenty of questions. 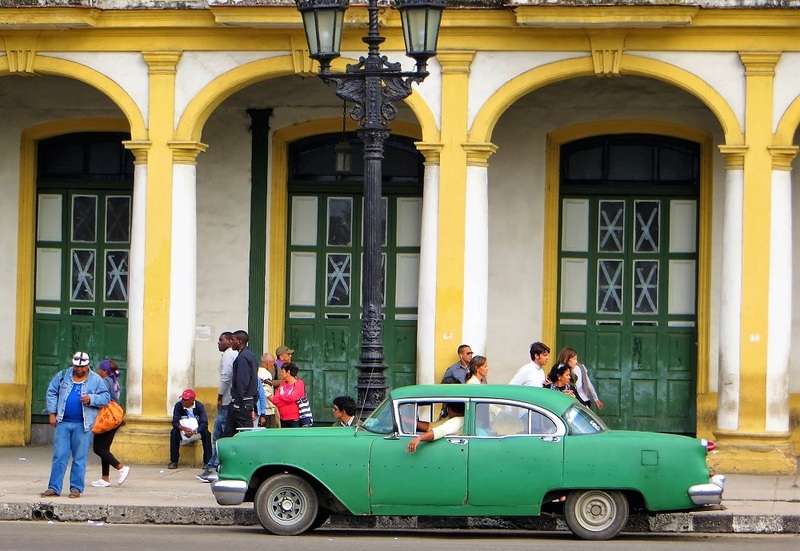 All you need to do is haggle the price beforehand and you can go on to your first taxi tour of Havana. As we mentioned haggling, you should definitely know how to negotiate the best taxi price in Cuba. First of all, remember that there are two types of taxis – governmental ones (with blue registration plates and a running meter, which indicates how much you need to pay) and private ones. Private taxis have no meter, so your bargaining skills are all that determines how many pesos you’ll spend for the trip. If you don’t agree with the price that a driver has told you, you can always ask the next one – there is no shortage of taxis here. For a point of reference, you can ask for information about the average cab fare at your hotel’s reception. Then bargain for less. The driver in the second cab we hailed turned out to be an exceptionally chatty and friendly young man. We agreed on a price of 8 pesos to get from the center of Havana to our hotel. Since the fee was clear and our conversation – enchanting, we noticed that the driver was going in a huge circle around the area of our hotel. He kept driving around the neighborhood and turning in the wrong intersections, so we reached our place for 25, instead of 10 minutes. The experience led us to two conclusions. First of all, if he wasn’t afraid we’d leave, the man would have stopped in front of the hotel and talked to us all night, rather than increasing his mileage. Second, a price of 8 pesos was obviously a gross overestimation on our part. Are you really, really sure you don’t need a taxi? Another curious detail is that, in Cuba, even if you don’t look like someone who needs a taxi, you will inevitably receive dozens of offers in the span of a single minute. Each offer is better than the last, with flawless arguments, such as “When, if not now, will you ever be able to ride in a 1950s Chevy down the streets of Varadero?” and “Only 5 pesos!”. Their stone cold logic had just one problem – we were two blocks away from the hotel. Just because you don’t need a taxi in no way means you won’t be offered one… even while riding your bike. A sad-looking driver slowed his taxi down to line up with my bicycle and offered to give me a lift. At first glance, the third taxi we rode in seemed completely regular. The second and third glances changed things a bit. “I can see the road”, said the half-terrified, half-entertained voice of my travel buddy. “Sure, me too”, I replied absentmindedly and kept glaring out the window. “No-o-o.”- she insisted – “Under my feet!”. I looked down – on the floor, which probably used to be the bottom of bathtub, there was a hole, the size of my fist, through which the pavement under our moving taxi was clearly visible. If need be, this was a great car to use our Flintstone skills. A bit further down the road we realized that there was something off with the radio as well – a bizarre system or a CD with a single song – we were listening to a local music hit for the 17th time in a row. Sadly, one of the most recognizable photos of Cuba – a gathering of archaic automobiles, will soon be nothing more than a retro postcard. In 2014, the local government lifted the ban on new cars (in 2011, when new models of cars were first imported into Cuba, only government officials, doctors and people with special connections could purchase them.) Even though the price of a new car in Cuba is a few times higher than in other countries, and the average salary is about $25, the changes are slowly but surely taking over. Brand new, Chinese buses are now flying down the Cuban roads. In other words, if you have been dreaming to see Cuba for a while now, do it as soon as possible.